With over 336 million active monthly users, Twitter is one of the largest social media platforms on the planet. Having such a massive volume of active users, you can use the platform to grow your business and attract more customers. But to do this, you’ve got to market your business the right way. Things move at a breakneck speed on Twitter. And to create an impact on this crowded platform, you have to identify the best marketing technique that works. Luckily, we’ll unveil proven marketing strategies that’d help you grow your business with Twitter in 2019. Creating your Twitter profile is more than coming up with a handle, uploading a profile picture, and sending out your first tweet. To pick the right handle, you need to select a handle that’s recognizable, easy-to-remember, and short. People can quickly tag a short handle. In the twitter world, people use your handle to search for your page. Also, your brand name should be consistent across all social media platforms. 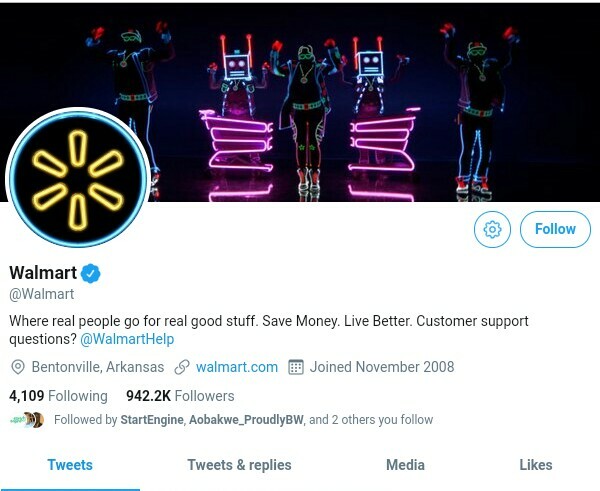 Large brands like Walmart use this strategy to position themselves the right way on Twitter. It’s important to stay clear of special characters and stick to short names. A short name gets you more @mentions by your audience. Therefore, shorter Twitter names increase your chances of getting mentioned in the platform. For personal brands, use a clean, professional headshot. 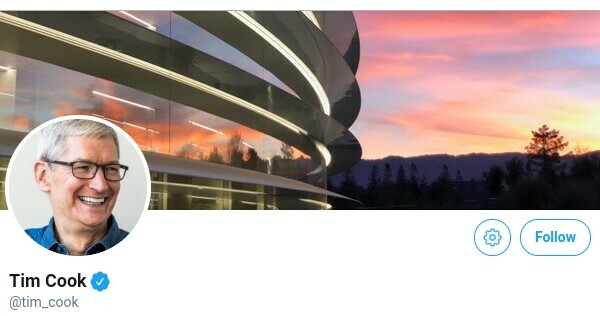 The 160 character bio is found under your profile picture. Here’s where you capture the attention of your target audience and let them know who you are and what you do. Make it short and precise — let people know exactly who you are. Be original, show your personality, and add some humor to it. Let people know about some of your great accomplishments. The bio should attract your target audience. Tag other brands you’re associated with. Studies have shown that the best time to post on social media platforms like Twitter is between the hours of 12 pm and 6 pm. And other thought leaders believe that the hours between 12 pm and 3 pm on weekdays work best. 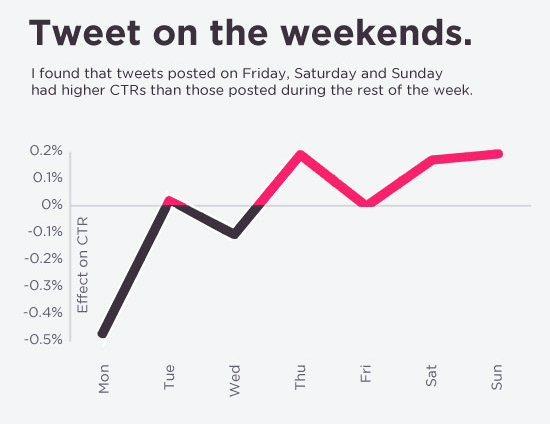 Although tweets during weekdays seem to be good, Buffer suggests that tweet posts during weekends generate more engagement. Your peak hours is mainly dependent on your target audience. Therefore, you need to test your content during different times of the day to see which works best. When you identify your peak hours, you should use tools like Buffer or Hootsuite to schedule your posts ahead of time. You can find new prospects or figure out what your clients are saying about your brand with advanced searches. In addition to tweeting promotional posts and engaging with your existing customers, you should use advanced searches to reach out to new prospects. You search for terms relevant to your industry and see what other people are saying. With this information, you can reach out to new leads. Tweets with images tend to generate more likes and retweets. But the key is to use high-quality images and pictures that are relevant to your post. Also, use tools like Canva to create customized images for your tweets. Aside from photos, you can take the step further by using Twitter video. Studies from Adweek reveal that video tweets generate 3x more engagement than gifs and 6x more engagement than photo tweets. Furthermore, you can use live videos to boost your engagement. Anyone can create Twitter polls. And you’ve got to conduct polls that not only start up a conversation but also help you get useful feedback and identify the pain points of your audience. Your goal is to create unique questions that’ll help you conduct market research and learn more about your customers. Brands like Target use polls not only to generate engagement, but also to study their market. Nowadays, you can easily reach out to influencers (or celebrities) with a large online following. An influencer can change the direction of your brand. The first step is to identify the right influencer for your brand. You have to look out for influencers with a large online following and whose message aligns with yours. Alternatively, you could also reach out to influencers who have already established a rapport with you. Maybe they’ve retweeted or liked your posts before. In situations where you’d need to find new influencers, you should use tools like Klout. Since your principal aim of marketing your brand with Twitter is to generate leads, boost engagement, and drive more sales, adding CTAs is a quick way of doing just that. 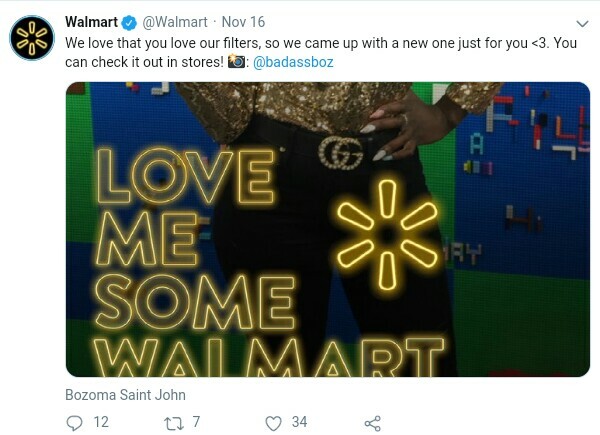 Large brands like Walmart are using CTAs like “Check it out in stores!” to increase their online engagement. If you’re new in the Twitter world and you don’t have a large number of followers, you can use the magic power of Twitter ads to grow your brand’s audience. 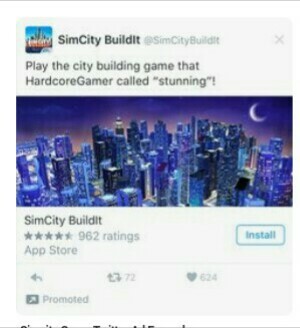 Although Twitter ads are more expensive than Facebook ads, they seem to get the job done. Ads like promoted tweets are useful in growing your online presence, while conversational ads are also a good fit. By using any of the promoted Twitter ads, you’d be able to reach more people, generate enough engagements, and create awareness. Although hashtags are useful, when misused, you won’t be able to create enough influence with them. 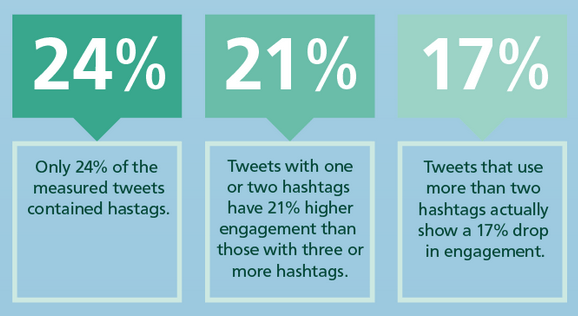 According to studies, tweets with hashtags generate 2x more engagement than regular tweets. However, engagement tends to drop by 17% when more than two hashtags are used. It’s important to not only use an active hashtag but to use them the right way — overusing hashtags is not healthy for your brand. Tools like Hastagify and RiteTag help you identify the right hashtags, test them, and determine the strength of each hashtag before using it. Twitter is one of the best platforms to find new prospects, generate more leads, and build an online presence. The problem is that everything moves at a fast pace, and the lifespan of the average post is just a few minutes. To stand out from the crowd, you’ve got to use effective marketing techniques. Start by creating a Twitter profile, writing a killer bio, tweeting during peak hours, and making use of hashtags. Other strategies include using videos/images, CTAs, advanced searches, Twitter ads, market polls, and influencers to grow your audience. How will you market your business with Twitter? 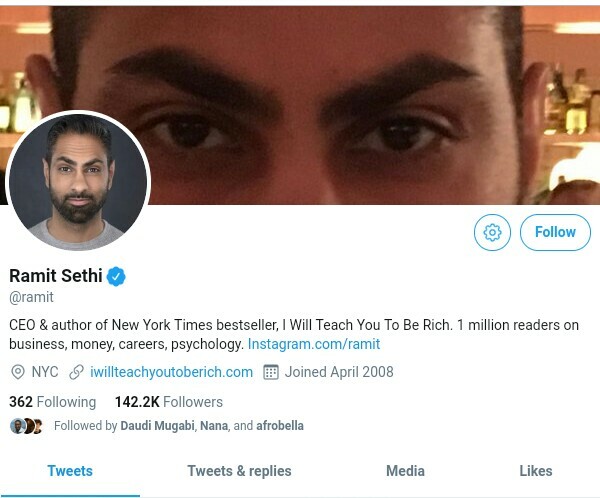 This entry was posted in Digital marketing, Social Media Marketing, Twitter Trends 2019 and tagged Digital Marketing, Social Media Market, Twitter Market, Twitter Trends 2019 on 26,Mar,2019 by Harshal Shah.